This beautifully crafted knit sweater has a two-tone lattice pattern, and is created in textured ottoman stitch, giving it a ribbed effect. 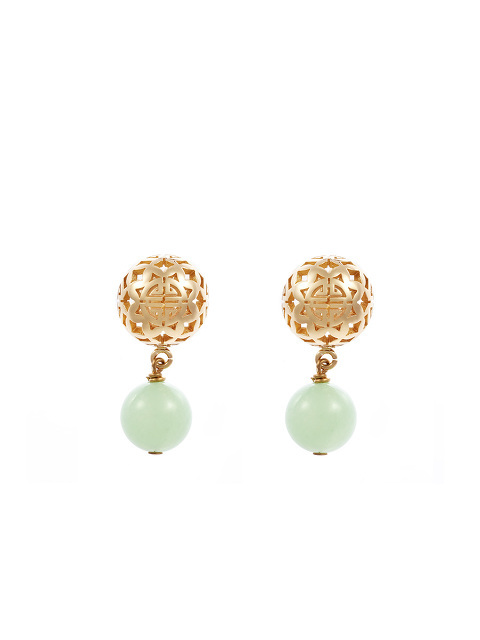 It is made from pure cotton, ideal for cooler spring and summer days. 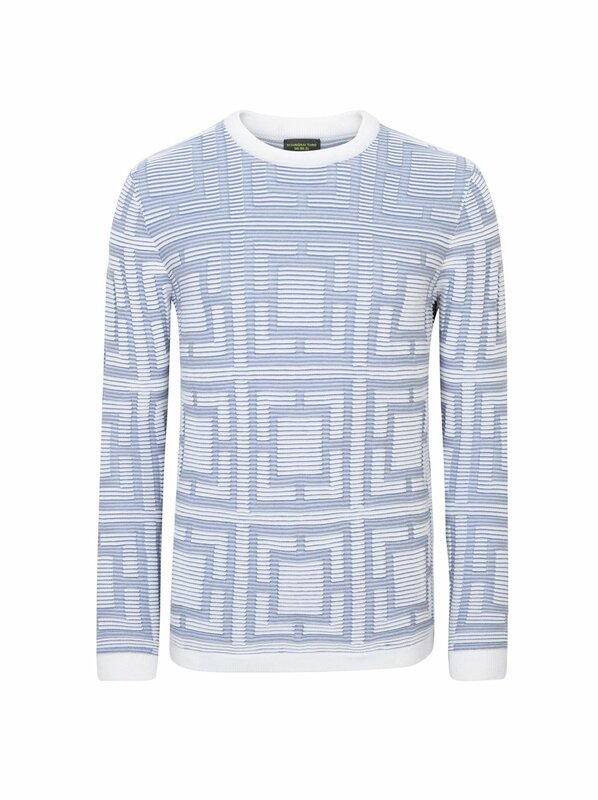 The lattice pattern brings distinctive Chinese design to this white round neck sweater which is knitted from mercerised cotton - a process that gives cotton added lustre and durability. 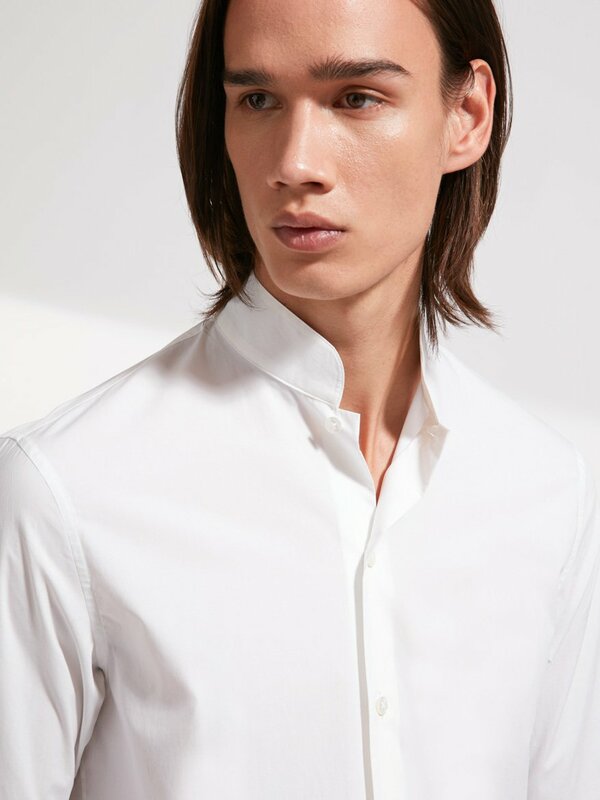 This extremely elegant mandarin collar shirt is one of life's everyday luxuries. Made from crisp, modern cotton, imported for its high quality, the shirt has a stylish hidden placket and a single button on the collar. A fusion of a shirt and jacket, the jacket is a lightweight, pared down take on a blouson. 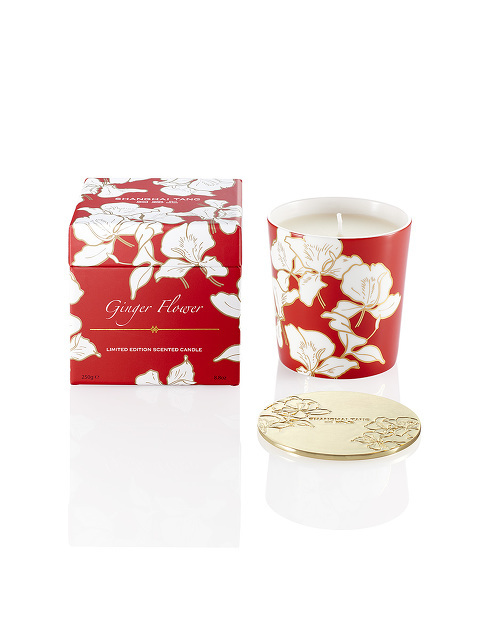 This one is made from pure printed silk imported from Italy, and is suitable for everyday use. Crafted using precious silk this suave suit jacket has a nonchalant air thanks to its collarless design. This blazer can be worn during the day or dressed up for the evening, and shows off the shirt worn underneath. Attention to detail marks out this exceptional tuxedo shirt. 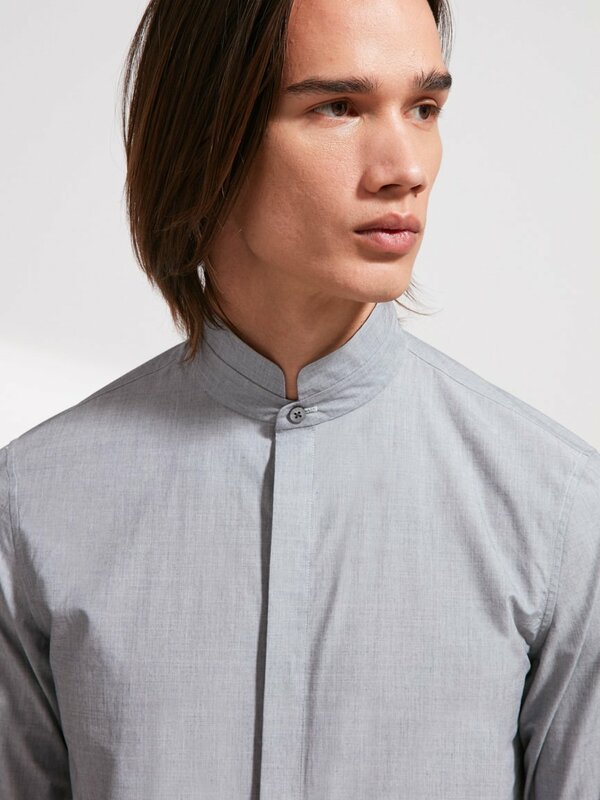 The mandarin tip collar is one of our best loved design features, seen here together with beautiful tonal embroidery of the Chinese dragon and a hidden placket. 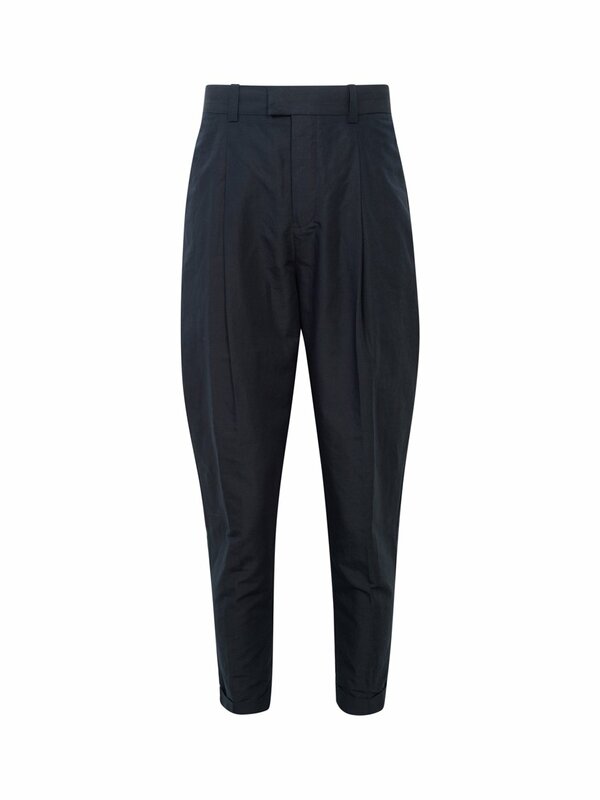 This pair of one pleat pants, in navy linen-cotton, brings new volume to the spring summer collection. 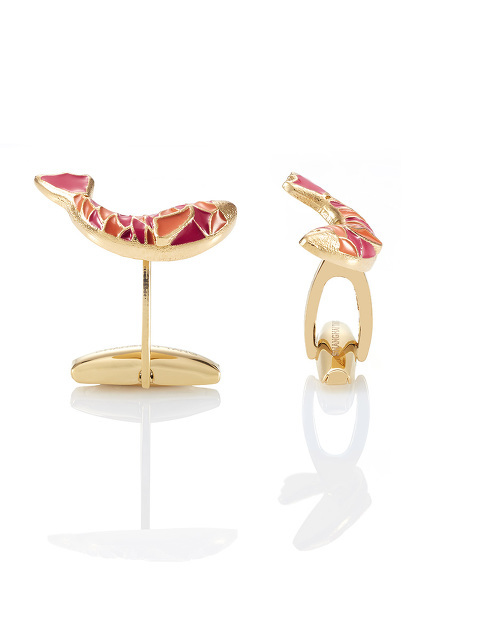 Wear with a jacket to create a contemporary silhouette favoured by designers. A stylish modern alternative to a blazer, this bomber jacket is smart but easy to wear. The zip fastening and small new-look collar are contemporary details, while the Chinese frog buttons and silky finish provide oriental refinement. 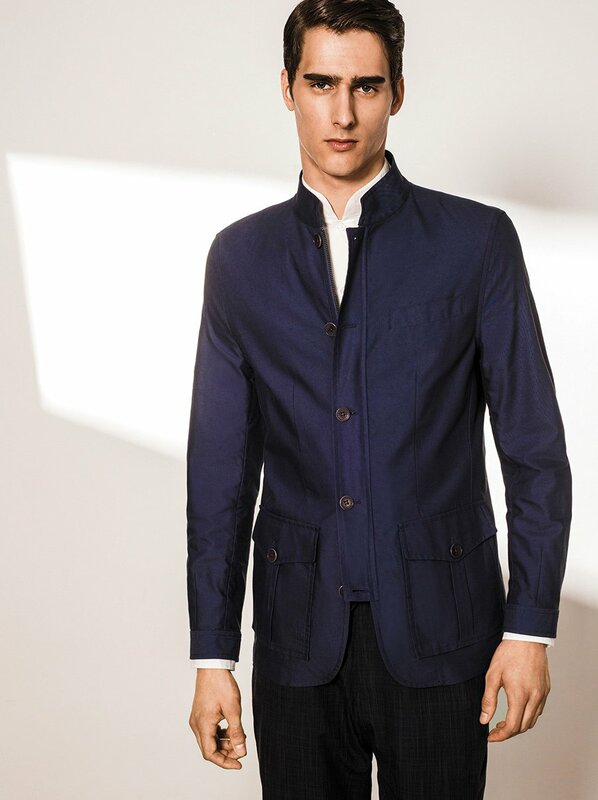 Perfect for traveling, this beautiful jacket in ink blue is made from easy-care cotton-polyester twill. Styled with a shirt, this is a great smart casual option for a city as well. 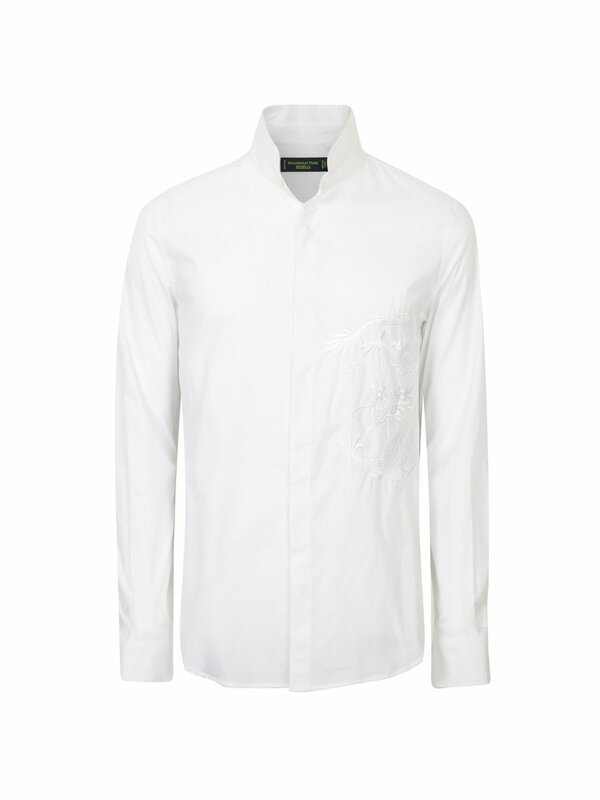 One of our signature designs, this must-have white cotton shirt has timeless appeal and is a wise choice for any man. The traditional mandarin collar style is reshaped into a modern fit with fabric to match. 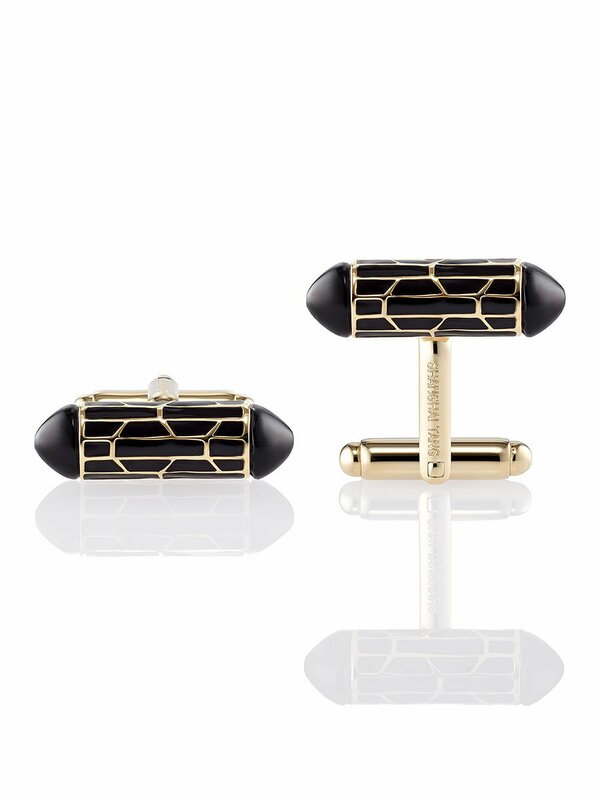 These stylish cufflinks are trimmed with black onyx and have a refined lattice design created in enamel on a vermeil base. This five button suit jacket has a sleek modern look. 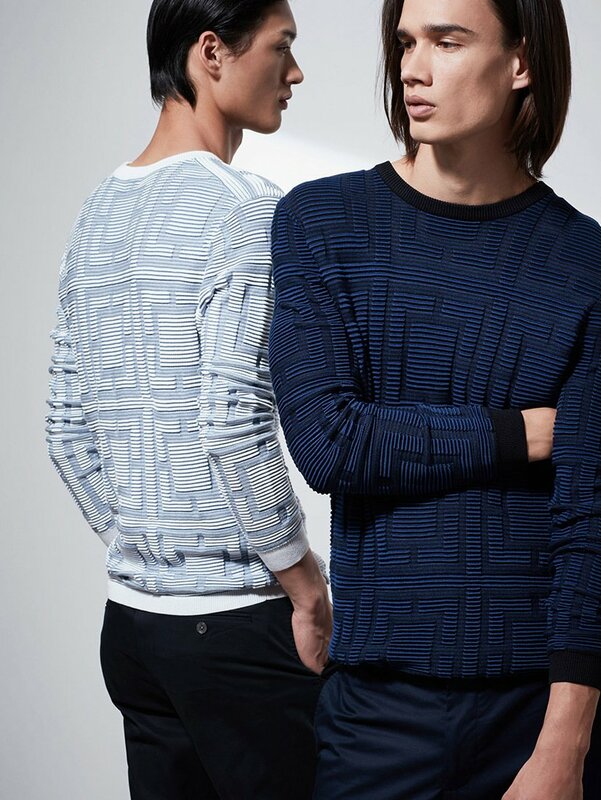 Shadow weaving gives the cotton fabric subtle tonal variations. Pair with the Cotton Mandarin Collar Shirt.